A Delibr user can have team roles and document roles. The document roles are Participant, Editor, Creator. Participants can add new questions, options, pros/con, they can rate and (dis)approve decisions. Editors can do the above and also edit and restructure the text in the document by moving or removing bullets. They can also attach images and link bullets to JIRA issues. 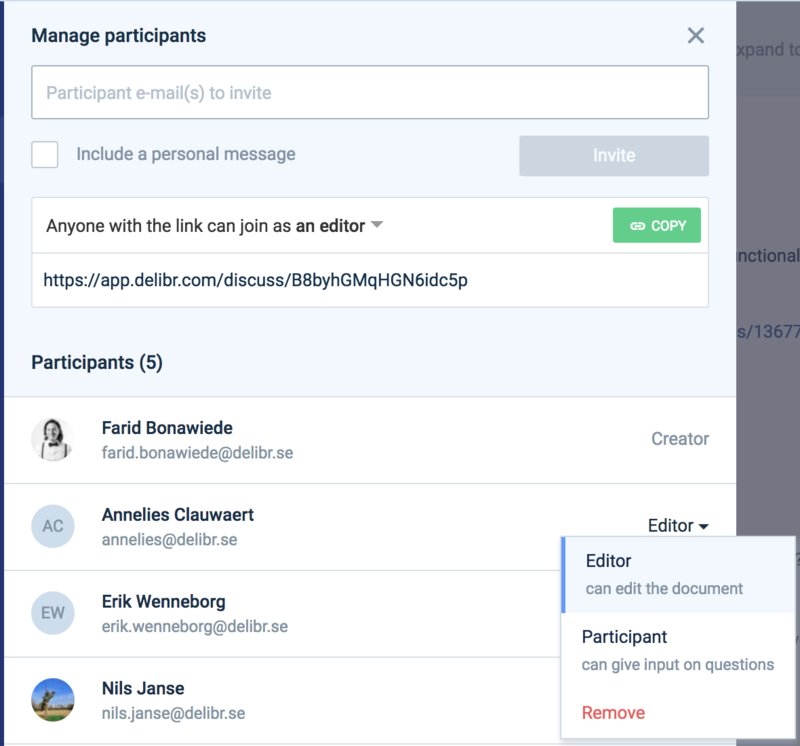 The Creator can additionally invite more users to the document via link or via email, switch their roles between being editors and participants (or remove them the document), link the document to a Slack channel, or archive the document.